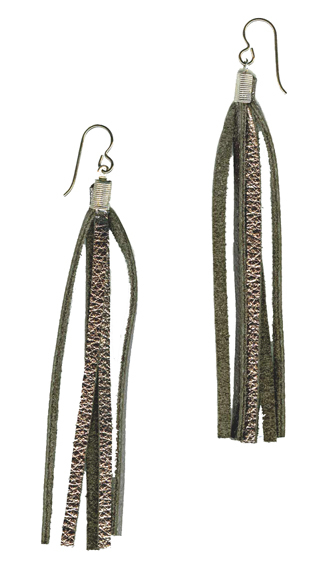 Fun earrings made with metallic silver embossed leather tassels. 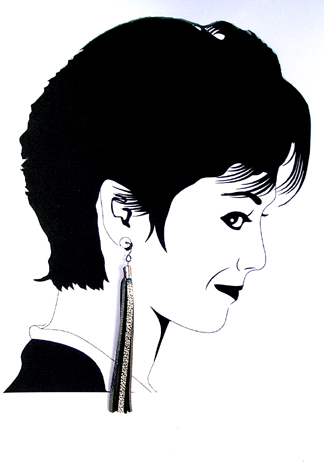 Ultra light shoulder duster earrings that swing and move with you. Made with titanium french hook style ear wires or niobium ear wires for $1 more, our earrings are suitable for metal sensitive ears.